Analog Factory Experience, DAW Pack from Arturia. ARTURIA announces that Analog Factory Experience, the first hybrid synthesizer, is now shipping. 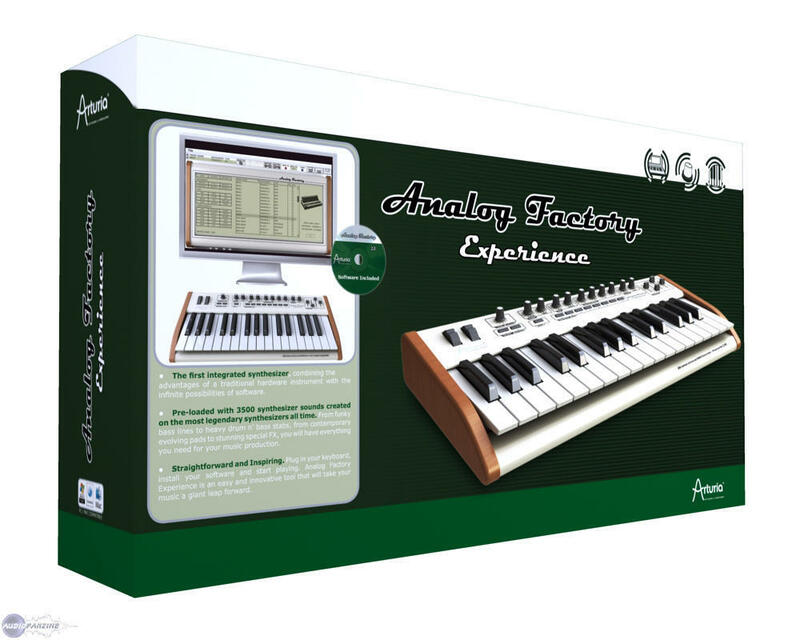 By combining a native software application and a dedicated controller-keyboard, Analog Factory Experience offers a straightforward, innovative and enjoyable experience. 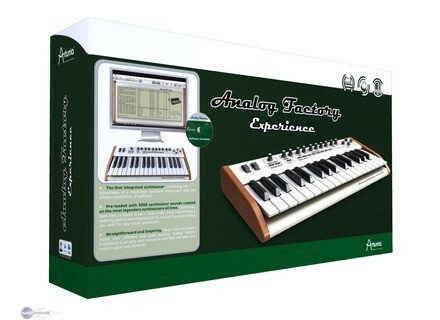 Based on the Analog Factory 2.0, a software instrument offering 3500 legendary synthesizer sounds, Analog Factory Experience includes a high quality 32-key MIDI keyboard. Musicians just need to plug the keyboard via USB and launch the software. Everything you can do on the Software is easily achievable on the Hardware: Allows to select sound categories and browse presets, to modify each sound, recall snapshot sounds, save snapshots, etc. port required but an Internet connexion is necessary. [NAMM] Ego Systems Inc. ESU1808 ESI releases the ESU1808, an external audio interface providing many E/S. De La Mancha Octav8r De La Mancha unveils his Octav8r, an advanced Pitch Shifter. Bandmateloops Funked Up Complete After nearly a year in production, Funked Up Complete has Arrived, it includes 760MB of Drumloops, Percussion, Guitars and Vocal samples.